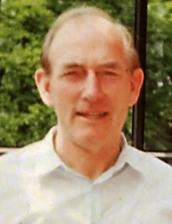 James David Stephenson in the 1990s. He was born in Grimsby (UK) and worked from the 1970s to the 1990s in Germany at the 'Fritz-Haber-Institut der Max-Planck-Gesellschaft' (MPG) and the 'Bundesanstalt für Materialforschung und -prüfung' (BAM) in Berlin. James David "Jim" Stephenson published several scientific papers, mainly on synchrotron radiation topography and performed experiments at the former synchrotron source DORIS III at DESY as a scientific user. DESY is very grateful that James David Stephenson and his wife have bequeathed their assets to fund the 'James D. Stephenson Fund' at DESY. The fund was created in 2014 and the objective is to strengthen especially the work of young academics in the field of X-ray and photon science at DESY.